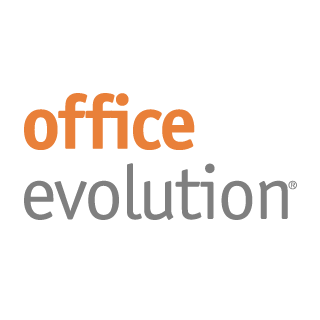 Join us on Tuesday, June 11 at 8:00am – 9:30am for breakfast networking at Office Evolution. Coffee and breakfast treats will be available for you to enjoy. Meet business professionals and business owners from the area. All attendees will have the opportunity to introduce themselves to the group. Members attend free, but let us know your coming! Prospective members: $10 if you RSVP online by 1:30 pm on 06/10. Additional cost at the door. Office Evolution Clark offers small business owners and professionals a smart and affordable alternative to working from home, trekking into the city or other more expensive, less flexible options. Office Evolution Clark can support every stage of your growing business in a welcoming and collaborative environment. Located just 25 miles from midtown Manhattan in a distinctive building visible from the Garden State Parkway, Office Evolution Clark is minutes from the quaint downtowns of Westfield and Cranford, trains to NYC, and is walking distance to Clark Commons, offering a variety of dining, entertainment and shopping options. Office Evolution Clark provides a variety of professional options tailored to your business needs. Rent a conference room, flee the coffee house for a shared workspace or set up a full, private office. We have what your team wants and what you need. Office Evolution Clark offers 34 private furnished modern office spaces of various price points for both individuals and teams, dedicated desks, a business lounge that seats up to 15, a day office, 3 conference rooms, and virtual office solutions including a professional business address and phone answering. Stop by for a visit to tour our beautiful BRAND NEW space!